Image Sign Studio has recently been involved in the regeneration of 47 independent shops signs Sheffield in Darnall, a suburb in the east of the city. As it was a £300,000 refurbishment project they really had their work cut out for them, as many of the shop fronts were in a poor state of repair, which was having a knock on effect on the area as a whole. Now that Christmas shopping is in full swing, retail shops need to act now to maximise their profits over the festive season. As specialists in shop signs Sheffield, Image Sign Studio has put together a few steps that you can take to ensure that you make the most of this profitable season! Competition for footfall on the high streets is at its most fierce over Christmas. Your aim to make sure your premises stands out from your competitors, looks visually appealing, welcoming, and encourages customers to enter. 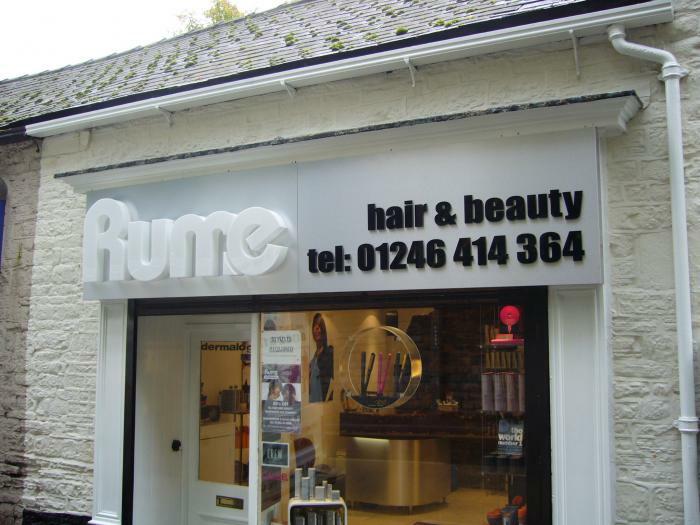 You could consider a beautiful window display, custom made window graphics or even a brand new shop sign. Image Sign Studio were delighted to be involved in the £300,000 refurbishment project, which saw the shops on Main Road and Staniforth Road in Darnall, Sheffield, receiving impressive makeovers, including new retail shop signs. As shop sign makers in Sheffield, Image Sign Studio know the dramatic effect a new shop sign can have on the exterior of a retail premises, and were more than happy to be involved in the Darnall revamp. The fantastic project has helped to revamp the rundown shop fronts of 47 independent shops in Darnall, a suburb in the East of the city of Sheffield which has been looking rundown for a number of years. The project started at the end of March this year, in an attempt to smarten up the area, boost the amount of shoppers using the stores there, and attract investment. As well as the renovation of shop fronts with new shop signs, the wider regeneration framework for the centre of Darnall includes general improvements to the street scene to make the area cleaner and safer. In addition, training and support will be given to traders, and housing development will be enabled on nearby vacant sites. 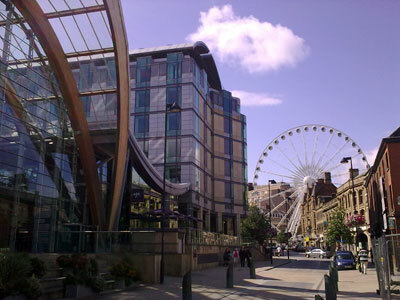 Regeneration initiatives are set to continue all over the city of Sheffield, including projects in Banner Cross, Hillsborough, Sheffield Antiques Quarter, Spittle Hill and Stocksbridge. As professional makers of retail shop signs Sheffield, Image Sign Studio have already been asked to design, manufacture and produce the retail shop signs for the Spittle Hill regeneration project, which of course they are delighted to be involved in! Image Sign Studio originally carried out the manufacture and installation of the Help for Heroes shop sign in the shopping centre Meadowhall last year, and they are now manufacturing and installing signs for the shops all over the UK including Birmingham, Peterborough, Essex, Wimbledon and Bromley. It’s such a great cause, and Image Sign Studio were over the moon to be contributing to their retail expansion across the UK, supporting them in helping to raise funds for the tri-service military charity. As professional sign makers in Sheffield, Image Sign Studio is lucky enough to be manufacturing and installing a number of illuminated retail shop signs for the charity Help for Heroes. To manufacture the Help for Heroes signs, a box was made out of folded aluminium composite called Dibond, and stainless steel hollow 3D letters were produced to create the words ‘Help for Heroes’. These letters were then backlit by fitting them with white LED lights to create a halo effect and attached to the Dibond backboard using studs. Although Dibond is extremely lightweight, it is also very rigid and achieves a perfect flatness. Just what you need for a shop sign! The aluminium alloy is corrosion resistant, making it an excellent choice for shop signs that are likely to be exposed to the elements. Dibond is also great for printing on too, lending itself especially to digital printing, which is a popular choice for many shop signs Sheffield. To manufacture the shop signs for this charity, Image Sign Studio used Dibond, which is an aluminium composite material consisting of a polyethylene core and aluminium cover sheet. Dibond is a lightweight yet rigid material, and there are many advantages to using it in sign making. Illuminated shop signs can have a dramatic overall effect on the look of any retail shop. Modern LED lights are cheap to run, low maintenance and long lasting, making them perfect for use on shop signage and business signage. For more information about having an illuminated shop sign designed, manufactured and installed for your business, contact Image Sign Studio on 0114 261 7617 to speak to a member of their team. Here are 5 ways to catch the eye of potential customers and convince them that your shop is where they’ll spend their money. When it comes to attracting customers to your retail premises and increasing the amount of people that you get through the door, appearances count! Whether you want to advertise a special promotion or event, or simply compliment your existing shop sign Sheffield, banner signs are a really economic way to promote your business. PVC banners are a great choice because they can be used indoors or outdoors, and can be hung from almost anywhere, including buildings, ceilings, poles or even fences. One of the many great things about vehicle signage Sheffield is that it is an incredibly cost effective way of advertising your business. Vehicle graphics are often high quality and reasonably priced, ensuring maximum exposure and a great advertising opportunity. In fact, research has found that your business vehicle may be seen up to 2000 times per hour as you drive around your local area. If you think of the amount of time a week you spend in your vehicle and calculate how many people potentially see it, vehicle livery is an amazing opportunity to get your name out there and strengthen your existing branding, such as your shop sign Sheffield on your business premises. The consensus among the general public is that people tend to have a far better opinion of a company if they have seen their branding through company vehicles. Not only does it establish a sense of trust as potential customers can see that the business is active in the area, people feel that the company is well established and being used by local people too. 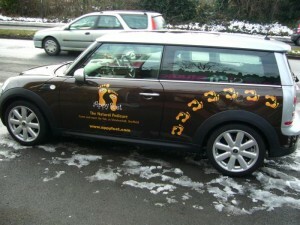 As professional sign makers Sheffield, Image Sign Studio can offer a range of high quality vehicle graphics. 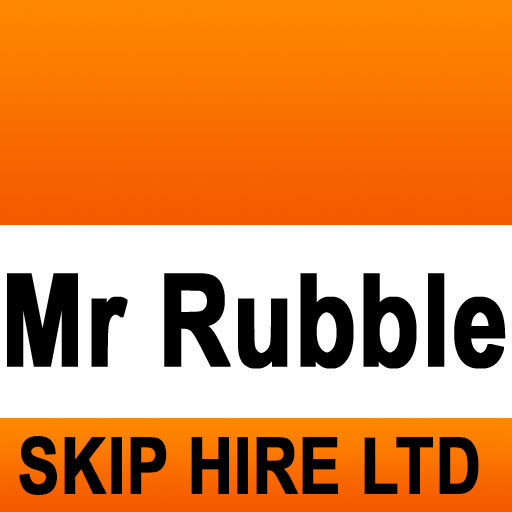 They are available in a wide range of colours and can be made to fit any vehicle. Image Sign Studio can produce full colour logos that are printed onto vinyl and then applied to the vehicle, or they can use vehicle wraps to wrap your entire car or van in vinyl for full coverage. This method includes wrapping the sides, front, rear and roof of your chosen company vehicle. Vehicle livery is an excellent way of reinforcing the branding of your business. By making your vehicle unique and extending your existing branding through vehicle livery, you’re sure to get noticed. If you would like a cost effective and efficient way of advertising your business, the professional sign makers Sheffield at Image Sign Studio can really help. They have a wide range of experience in all sorts of signage Sheffield, and would be more than happy to discuss your project with you. Give them a call on 0114 261 7617 to chat with their friendly team. This projecting shop sign for a hairdresser in Sheffield called Halo is a good example of the impact that the illumination of a sign can make. This particular sign projects from the wall seamlessly, with the bracket carefully hidden to create a modern effect. LED lights have been placed inside the PVC box, creating an impressive glow that really makes an impression. 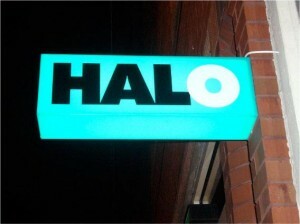 The effect of the light behind the letters is striking; especially as the last letter in the word HALO is white, allowing the light to shine very brightly in comparison to the other elements of the sign. 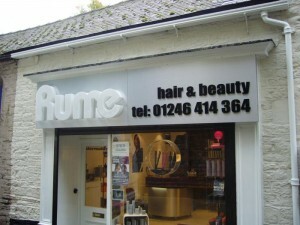 Projecting shop signs are particularly effective for shops that are located on a narrow street. For shops in this position, their main shop sign may not be as visible as signs on shops located on a wider street, reducing the amount of passersby that are exposed to the brand. For shops such as this, projecting shop signs can be a great solution, as they protrude from the building at an angle, enabling it to be seen at a distance from either end of the road. A projecting outdoor sign is, therefore, a great addition to your main shop sign, and another measure to ensure that your sign doesn’t get lost in the array of other business signage around it. Image Sign Studio regularly talk about how important it is to have a good looking shop sign Sheffield to make the very best impression of your business. In addition to your main shop sign, you may also consider a projecting shop sign for your business, increasing the number of potential customers that may see your shop sign as they walk up and down the street. As experienced sign makers in Sheffield, Image Sign Studio likes to keep on top of the latest news regarding the high street and the future of high street shopping. A recent article in the Daily Telegraph claims that life is returning to Britain’s high streets due to new planning rules that make it easier to convert empty shops into homes. The paper reports that having more homes near and even in the high street help to develop a buzz in the area, and also provide a readymade consumer market right there on the doorstep. Great news! As you may well be aware, it’s been in the news for a considerable amount of time now that high streets up and down the country are suffering from the effects of the recent recession, the decrease in footfall, and the lack of sales. Newspapers are littered with depressing shots of empty shop fronts and headlines scream about the death of the high street. Sheffield city centre has lost a few shops, admittedly, and there are still several Sheffield shop signs that hang over empty windows and rundown buildings with nothing to show inside. According to the Daily Telegraph, a recent report shows that 44 new independent shops opened every day last year and retail sales were up 1.7% last months and 3.7% on this time last year. Many people assumed that with the rise of internet shopping and out of town developments, the high street would be reduced to practically nothing. But there is growing optimism about the evolution of the high street and its ability to adapt. Whether the high street is rejuvenated by the integration of homes into the shopping mix, or as a result of the upturn in the economy, the British High Street is definitely on the road to recovery. Image Sign Studio have the skills and experience to design and manufacture a wide variety of shop signs Sheffield to ensure that your business adds to the vibrancy of the streets of the steel city. Call today on 0114 261 7617 to get in touch and chat to a member of their friendly team. We manufactured two signs for this Sheffield sports bar, which both featured LED lighting. As the majority of the bar’s business would be generated in the evening, having an illuminated sign was a must to attract potential customers and make sure that the signage could be clearly seen from the road by passersby. As experienced shop sign makers in Sheffield, Image Sign Studio has manufactured a number of retail and commercial signs for a variety of businesses throughout the area. 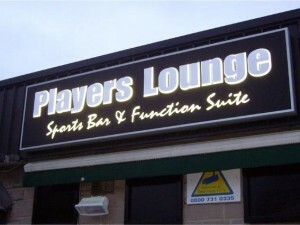 This particular sign was manufactured for ‘Players Lounge’ sports bar and function suite in Sheffield. The letters were fabricated from Perspex and mounted onto the aluminium tray using acrylic studs. This made them stand out to create a 3D effect. The overall look of this business signage is very sleek and certainly stands out from the crowd with the monochrome colour scheme and illuminated letters. It is very obvious with signage exactly how effective the illumination is behind the Perspex letters, which glows even brighter at night. The sign was constructed using an aluminium light box which was then powder coated to match the branding of the bar and their existing marketing material. Aluminium typically has a standard silver finish, however, it can be powder coated in any colour to match the corporate identity of the business in question. Powder coating is a great way of colour matching signage to a business’ existing marketing material, branding and colour scheme etc. LED illumination can be achieved on signage such as this by placing the LED lights onto a back tray behind the lettering of the shop sign. LED lights are a great choice for Sheffield signs such as this because they are guaranteed for 50,000 hours and very cheap to run in comparison with conventional tube lighting. The aluminium light box was then fitted with internal LED lighting in white, so that the letters could easily be lit up at night for an eye-catching effect. If you are in need of a sign maker to design and manufacture your shop sign Sheffield, Image Sign Studio can help. Whether it’s for a bar, restaurant or shop, our experience and knowledge in commercial signage is second to none. Call us on 0114 261 7617 to get in touch and chat to a member of our friendly team. As professional shop sign makers in Sheffield, Image Sign Studio has designed and manufactured shop signs for a variety of businesses all over the city. We recently manufactured the signage for a Sheffield based independent estates agent called Whitehornes, who have recently acquired a new premises at Banner Cross. We were asked to produce a digitally printed banner which has been hung vertically above the shop sign. All the banners we provide come finished with quality hems and eyelets so that they can be hung from buildings and ceilings, and can be securely attached to fences and poles too. 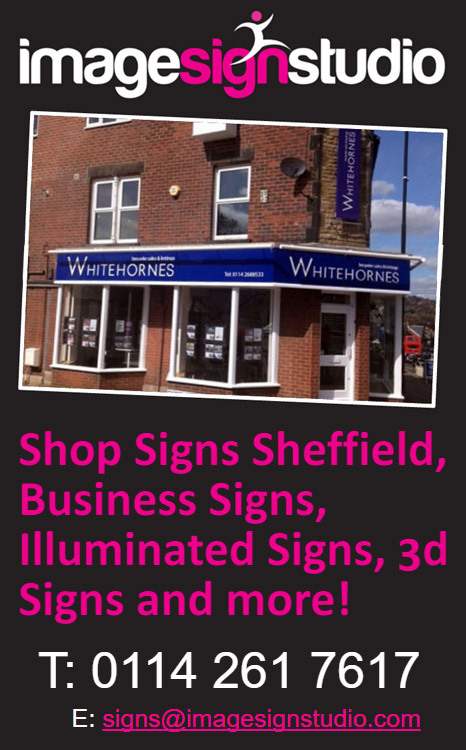 The banner for Whitehornes is made from PVC which has been printed using UV stable ink in order to prevent fading when exposed to sunlight. The letter for the Whitehornes shop sign were cut from white Perspex using our very own state of the art CNC routeing machine. This machine allows us to cut simple or very complex shapes with perfect accuracy from a wide variety of materials. It really is fantastic technology, as it gives an incredibly flawless finish to all types of business signage. The 3kW spindle means it can fly through materials with ease. The white Perspex letters were then mounted onto the blue aluminium backboard using studs so that they stand proud, raising them slightly to create a 3D effect. The sign was then illuminated using LED trough lights for maximum impact. If you want to make a great impression with quailty business signage, our custom shop sign making service in Sheffield will be perfect for you. Give us a call on 0114 261 7617 to chat with our friendly team. Sheffield sign shop, Image Sign Studio, recently had the pleasure of manufacturing the sign for R.S. Bruce Metals, whose head quarters are in Sheffield. The Bruce Group encompasses R.S Bruce Metals and Machinery, who pride themselves on playing a key role in the innovation of the techniques used for the removal and recovery of oxidised Platinum Group Metals, from components within working nitric acid plants. The office sign was manufactured for a previously derelict building that R.S. Bruce decided to redevelop into an office block for their staff. Because of the condition of the building and the standard to which the company wished to bring the officer block up to, R.S Bruce employed interior designers to help them with the development. It was, therefore, completed to an exceptionally high standard, and created a fantastic place to work for their staff members. R.S. Bruce chose to have their office sign manufactured from stainless steel with a brushed finish. They chose the brushed stainless steel finish in order to reflect their metal business, creating a link between their branding and the industry that they are a part of. They also chose to have orange LED lights fitted into the back of the lettering in order to create a halo effect. At night, the orange LED lights created a glow around the stainless steel 3D lettering, looking almost as though there was a fire simmering behind them. The thought process behind this orange light was to represent the idea of a furnace, again a reflection of the metal industry. Such a well designed office block obviously needed a great sign to reflect the quality of the business and the services that they provide. Here at Image Sign Studio, we have plenty of experience designing and manufacturing shop signs, industrial signs and signs for office buildings such as this, so we were an obvious choice! If you are looking for a sign maker in Sheffield to design and manufacture your office sign, industrial sign or shop sign, Image Sign Studio can help. Call our friendly team on 0114 261 7617 for more information.